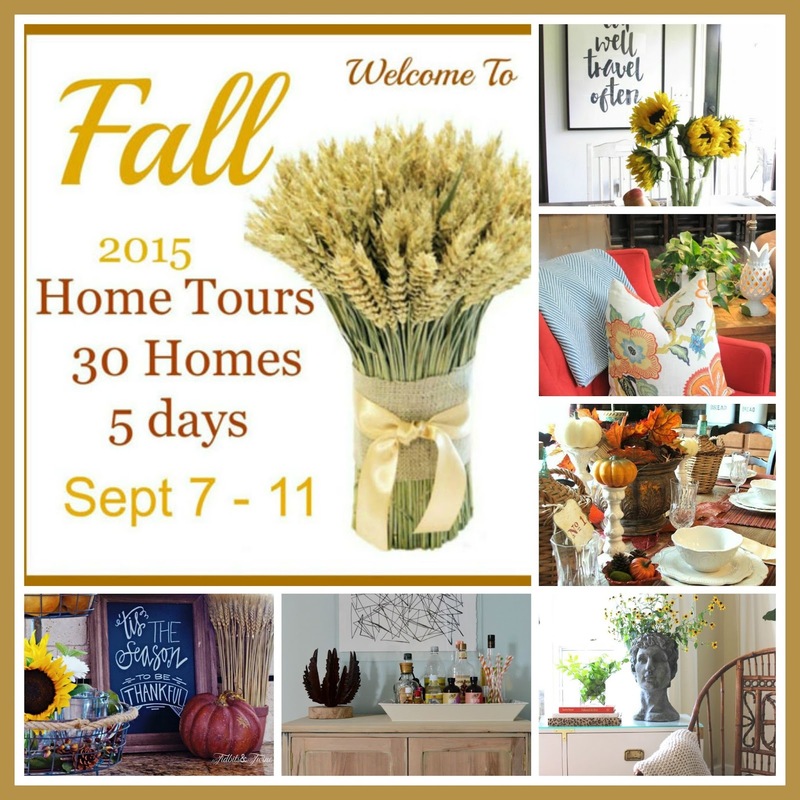 Marty @ A Stroll Thru Life is hosting this wonderful tour of 30 homes decorated for Fall. I so appreciate her including me and all the time and work she put into making the tour a success. If you are visiting from Simple Details isn’t Pam’s home beautiful? We live in Florida and the temps are still in the mid to high nineties. This makes it a little bit challenging to decorate for Fall. There is not a single real pumpkin in sight and forget pulling colorful leaves or twigs from the yard. I’ve cranked up the air conditioner for you so we can pretend there is a chill in the air. Welcome to our home and I hope you enjoy my “Coastal Style” Fall decorating. I love these velvet pumpkins from Hobby Lobby. If pumpkins grew by the sea I bet they would be this beautiful color blue. This room has only been a dining room for a few months. The prior owners were using it as an office because the space was very narrow. You can see HERE how we removed a wall to transform this space. 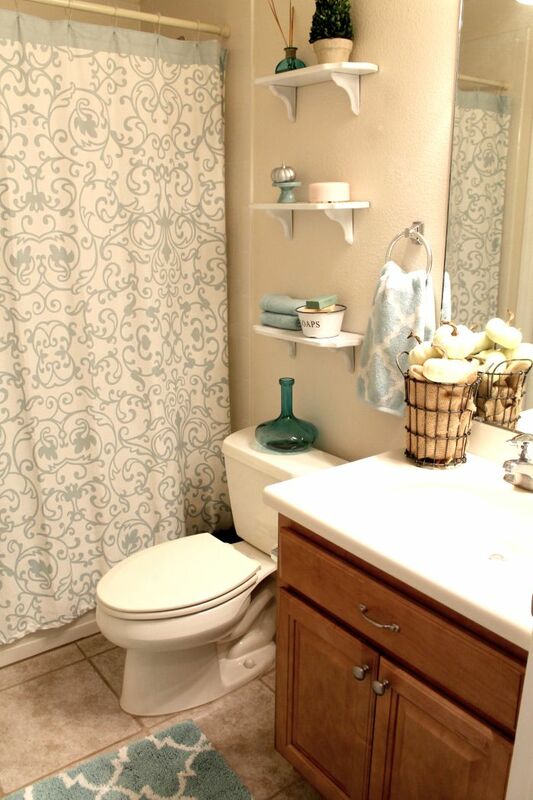 The guest bath is still a work in process and this is the first time I have shown it here. We just got the shelves up last week and the vanity is next on my list to be painted. Right now the rest of our kitchen actually looks like the picture below. A disaster while waiting for the painted cabinet doors and drawers to be put back on. Next up on the tour is Design Post Interiors beautiful home. In case you missed any of the tours I have included a list below. I love how your house has such a collected feel! And those living room lamps are so cool! Sherry, I love your coastal fall. You have turned your home into such a warm and welcoming space. Love those velvet pumpkins in a shell and your dining room chandy is stunning. Fabulous tour. What wonderful spaces you have created. 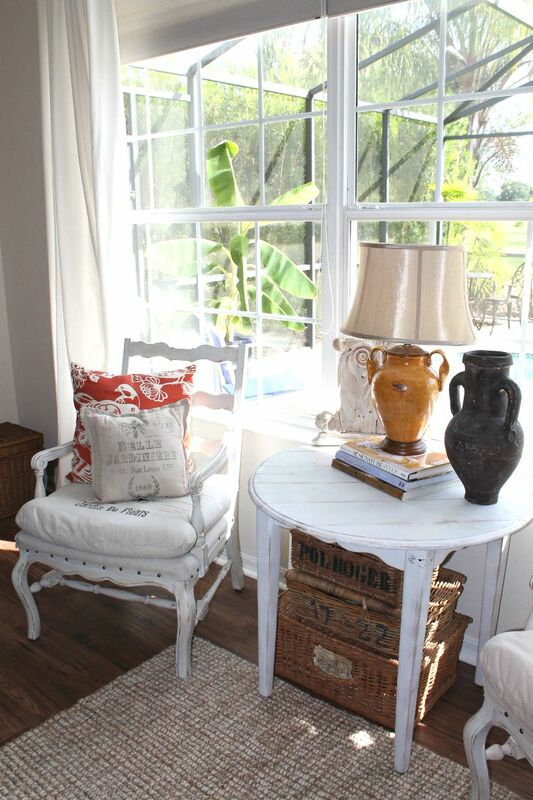 So warm and inviting yet with a feel that is great for Florida interior. 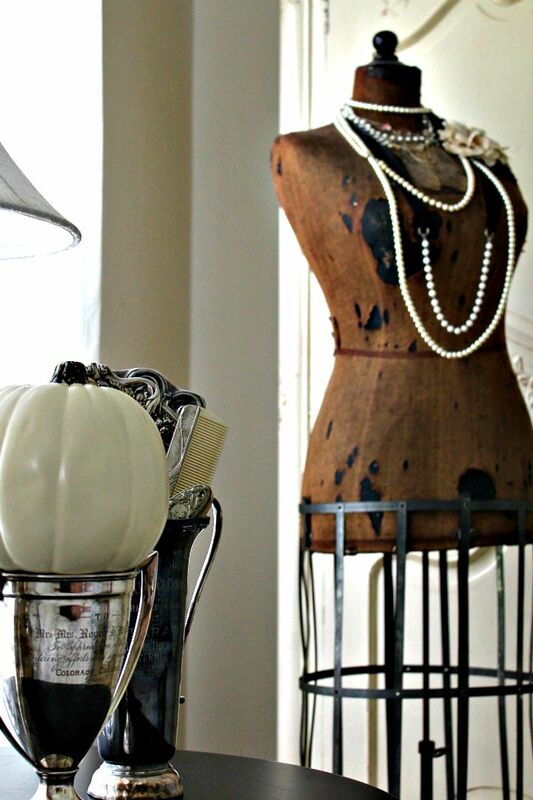 Your collectibles say a lot about your style. What a fabulous fall tour Sherry. 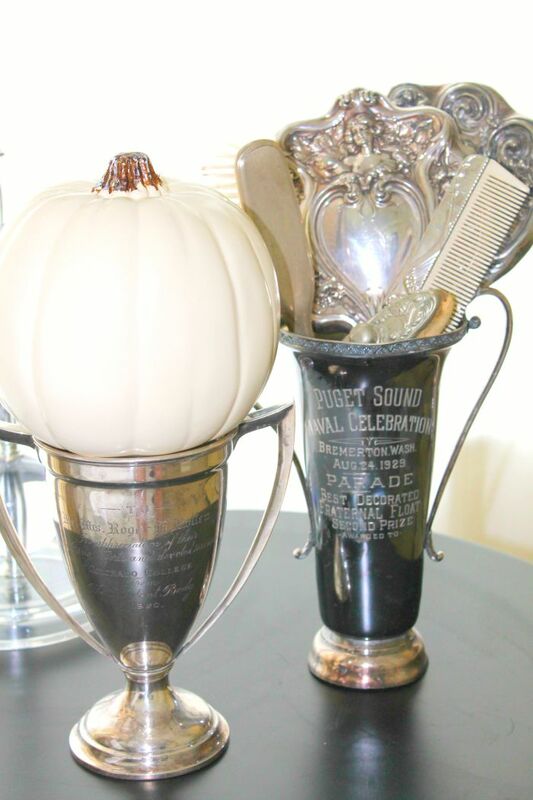 I am coveting those velvet pumpkins! Sherry, everything is beautiful! I can't get over how you have every little detail so perfect in such a short time. Seems like you just moved in there. It's all gorgeous! 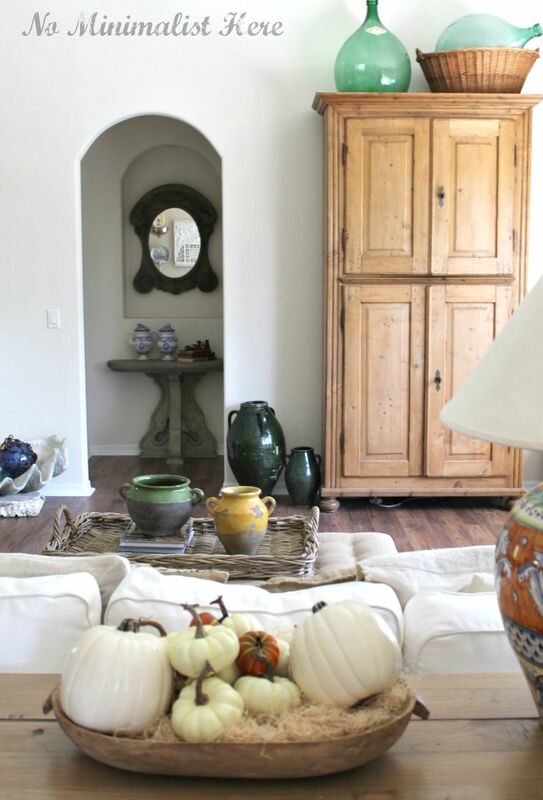 Sherry, you've blended so well the coastal/fall decor! 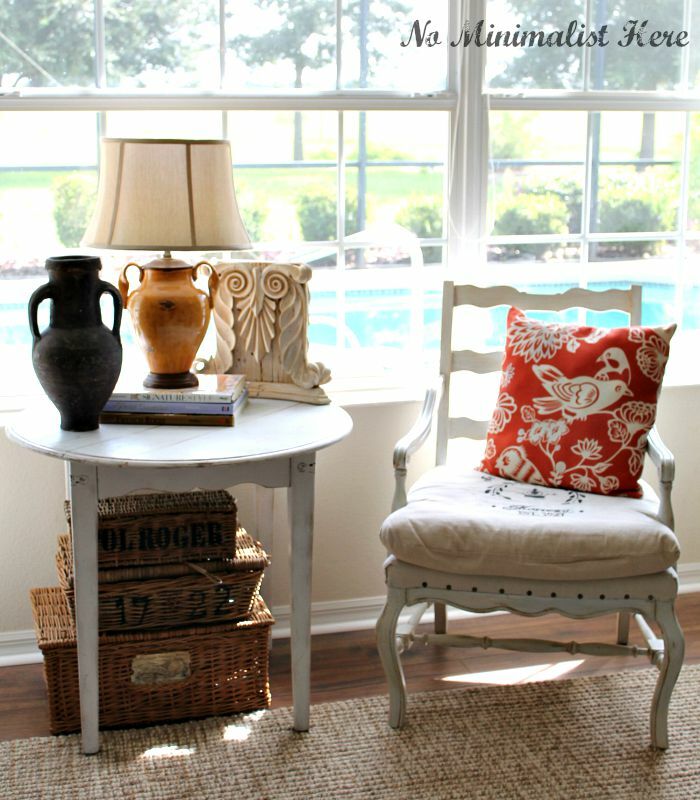 Your home is airy, bright and welcoming. I love those velvet pumpkins and your beautiful bedroom! I love your coastal fall decor. Sooooo pretty. Your rooms are just so pretty and comfy. Thanks for sharing on the tour. What a fabulous home you have! I love how you put everything together; its so impressive! Just beautiful, Sherry! I adore those velvet pumpkins, the color is stunning! 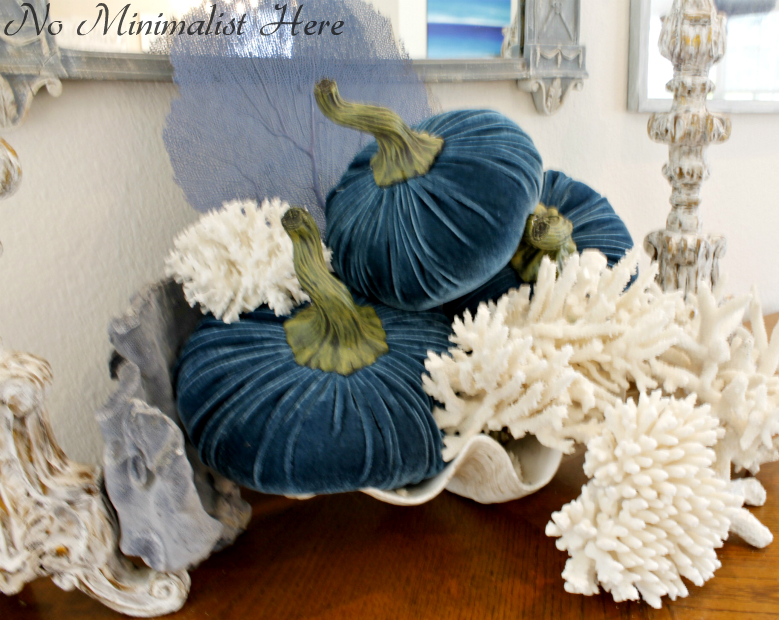 I like how you have found a nice blend between Fall pumpkin decor and coastal decor! Living in the central valley of California, it is been in the 100s all week – makes it hard to feel like Fall although the pumpkins growing outside *love* all this heat. Thanks for sharing your home with us! Wow! I loved this home tour! I love all the blue and white that you're using. Those blue velvet pumpkins are so pretty. I didn't know that Hobby Lobby sold those. I can't wait to see your kitchen when it's finished. It's going to be so pretty. 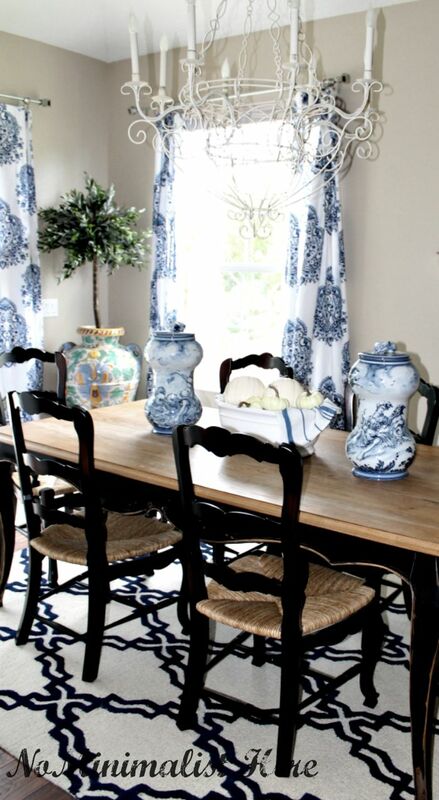 I love all the blue you're using in your dining room and the pillows on your sofa. Sherry your home looks stunning! I'll tell you those blue pumpkins are so eye catching and I love the blue and white of your dining room. Such pretty fall touches… the perfect amount. Your pictures are wonderful as well! 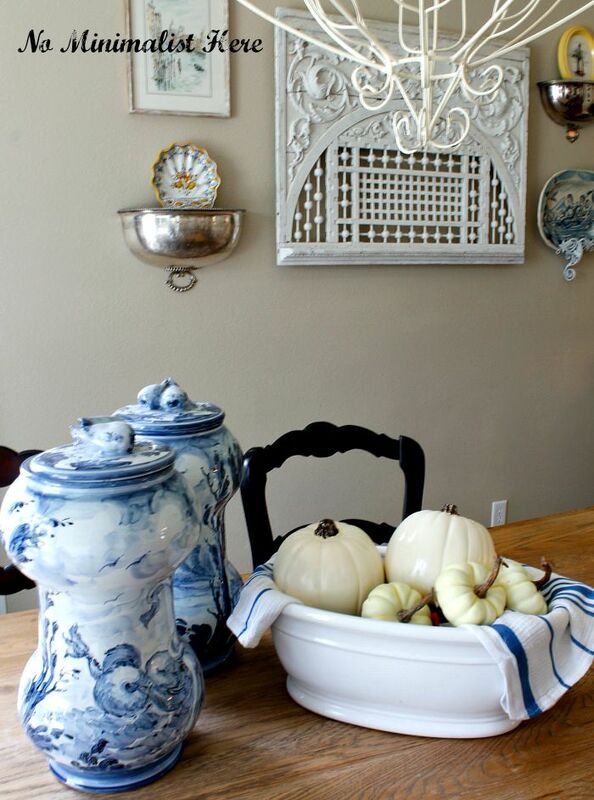 I love the white pumpkins with all your gorgeous blue/white ceramics. Now the blue pumpkins are gorgeous and definitely are unique, perfect for your setting. Enjoyed your lovely home. Hi Sherry I'm new to your blog. 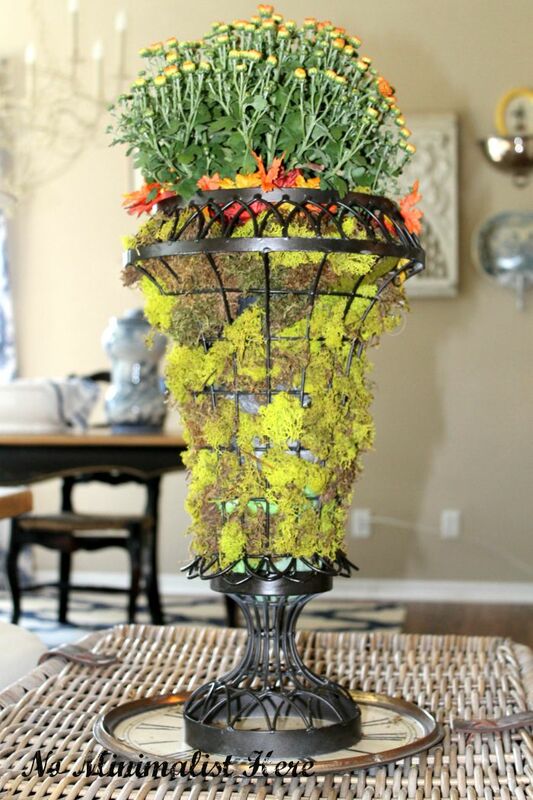 I love your home and I think your spin on Fall is AWESOME! I especially love the blue pumpkins. I live in Florida also and boy is it hot. Hopefully it will be getting cooler sooner than later. Have a GREAT weekend! Very inspiring. O.K., I will turn down my Dallas A/C and get ready to welcome fall! 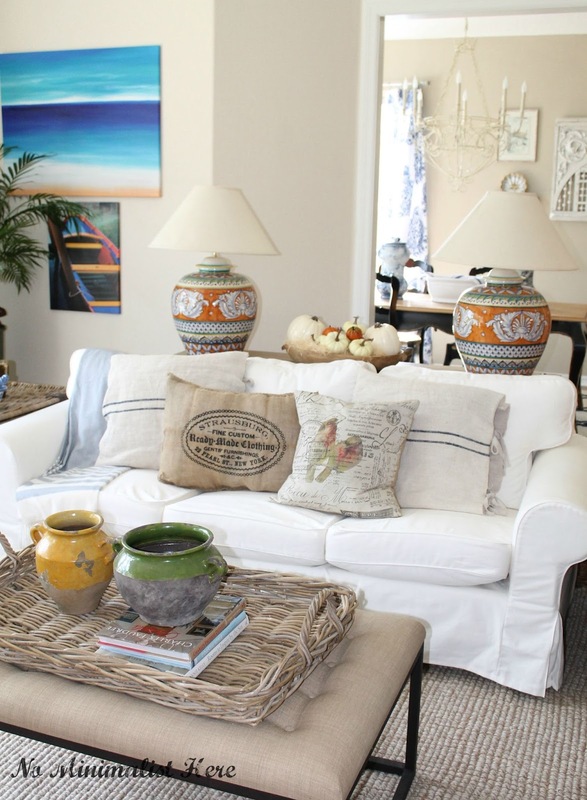 What a great Fall tour Sherry….I so love how you incorporated Fall into your decor of French Country and Coastal…your vignettes are truly a work of art!….and BTW those shades do look wonderful on the lamps! 🙂 I cannot wait to see the kitchen reveal!!! This was a great opportunity to see your lovely home…wow! 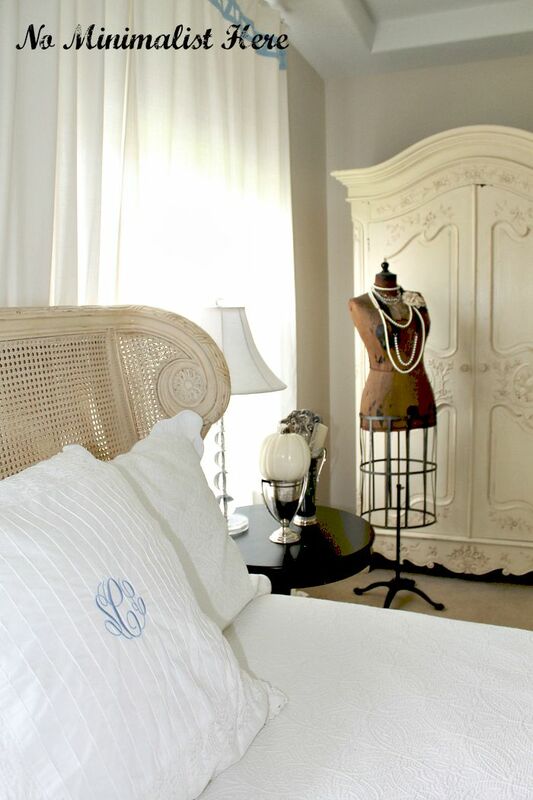 I love the color scheme and your elegant but very relaxed style. You have the perfect fall touches. Love those blue velvet pumpkins! I have to get out to Hobby Lobby! lol! I'll look forward to seeing your kitchen reveal. 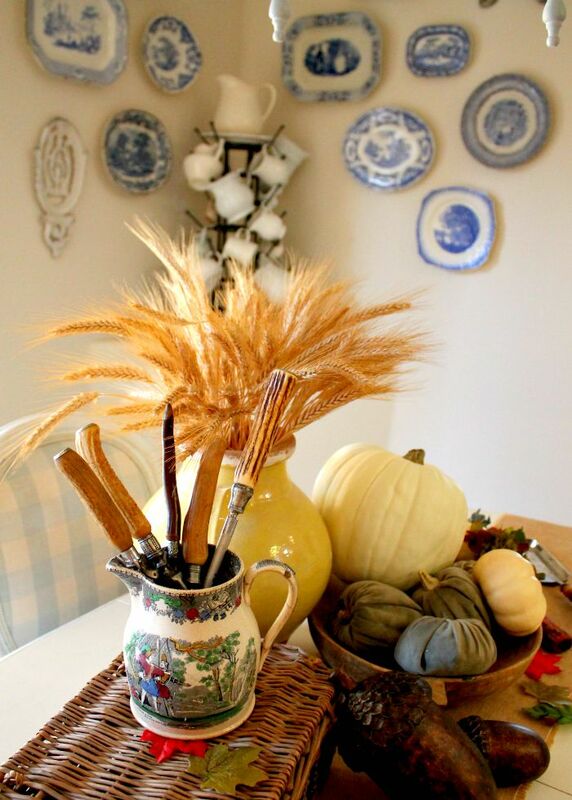 everything is so beautiful, Sherry, I love how you've used the blues in Fall decor. 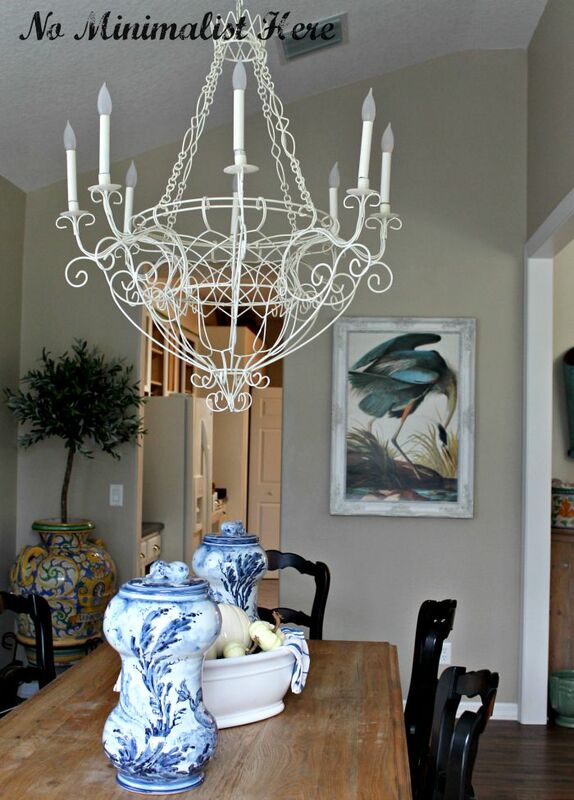 LOVE your dining room, it turned out lovely! I love when others share the inside of their homes, and yours is breathtaking! Gorgeous Fall home tour! 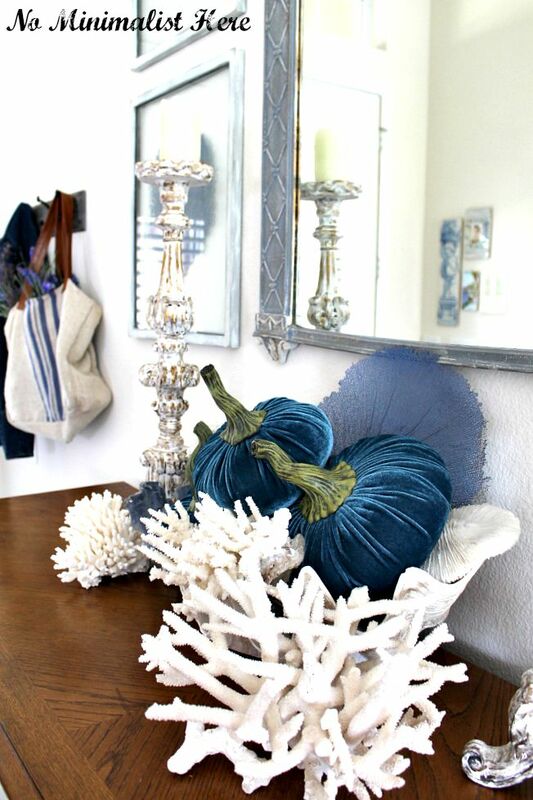 Love the plush velvet pumpkins and your other "shades of blue" embellishments! An inviting seasonal home where your guests will want to linger! Sherry the blue velvet pumpkins arranged with the white coral is just stunning. I had to pin that one!!! Happy Fall to you!! Oh Sherry – those pumpkins are just gorgeous ! Your home looks so perfect ( and beautiful ) can't wait to see the kitchen updates ! I love this: beautiful, beautiful, beautiful as I'm scrolling down – then a little reality check at the end with your work in progress kitchen! The kitchen is the hardest room to have in a mess, I think, hope you're coping ok. Your blue velvet pumpkins are gorgeous by the way, I'm not of a one for changing things with the seasons but those are very tempting! Sherry… your home is gorgeous and perfectly decorated for the season! I LOVE the blue pumpkins! Just the right touch!! 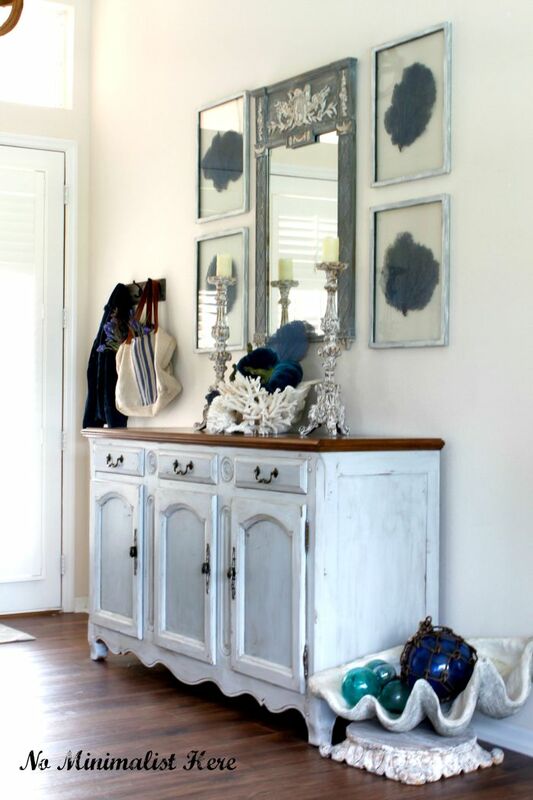 Loving the coastal feel and all the touches of blue!! So pretty! Happy to be on the tour with you! velvet blue pumpkins are gorgeous! Fun tour. Thanks so much for sharing. Your blue velvet pumpkins are just gorgeous….. I love your beautiful home, and especially love seeing all the natural wood elements. Good luck with your kitchen! I'm doing the same thing very soon. Sharing on my Facebook page today…xo!